S. Genesio is the classic horse town. Here there is actually no riding limitation on all ways and paths through meadows and woods. Enjoy nature high on horseback, perceive the sensation of the wind passing through your hair and the feeling of freedom. Firm on horseback through meadows and woods or galloping over our breathtaking high plateau of Salto. A dream for riders. 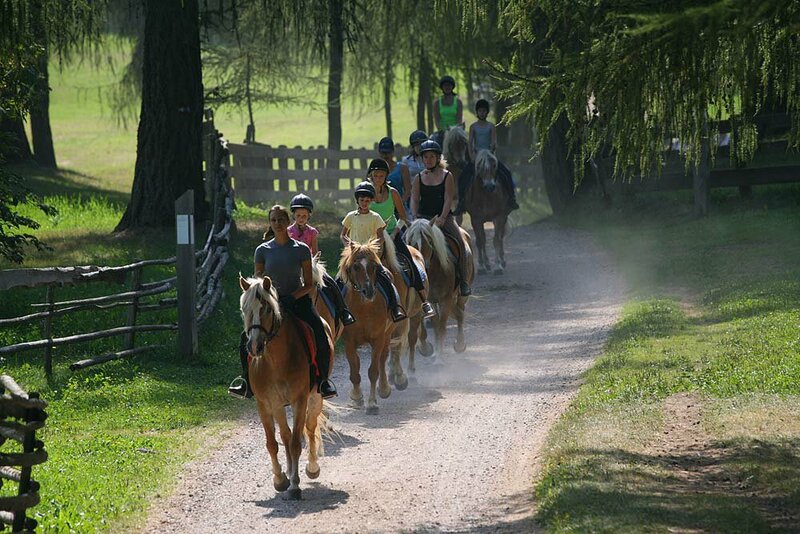 You will enjoy a guided individual lesson or a half-day ride with our qualified riding teachers. Don’t you want to renounce to your own horse even during holiday? 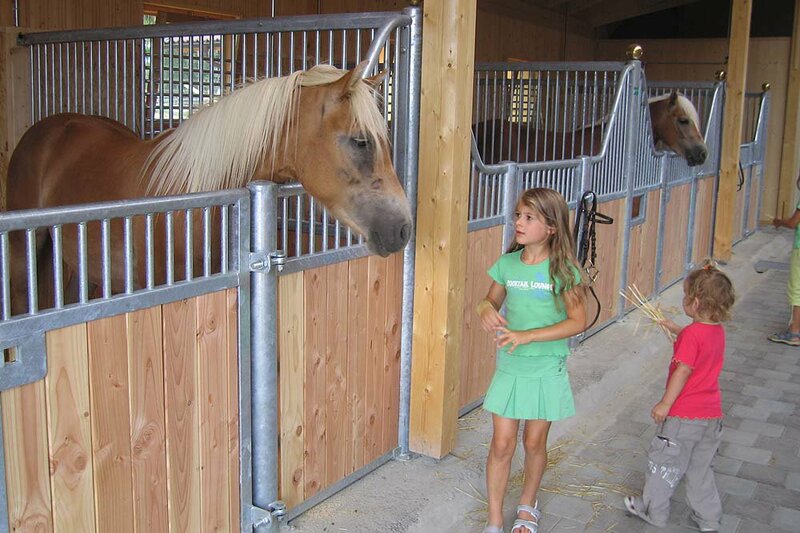 We put at your disposal guest horse boxes in our newly built stable at Salto with 8 hectares space to run about.